One of our best-selling mats, the Lagune #090 is ideal for any Wet areas. 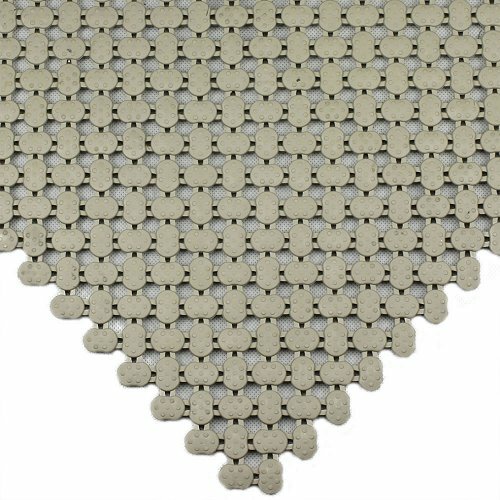 Mostly used around swimming pools, showers, spas and changing rooms the unique click together tiles can easily turn corners and make any design required. Lagune is treated with an anti-microbial additive for protection against the growth of mould, mildew, fungi and odour causing germs. Lagune is designed to prevent the development and growth of bacteria and it resists body oils and chemicals. 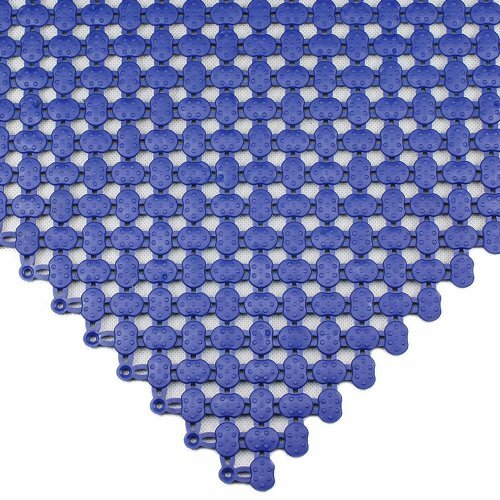 The tiles design allows water to easily drain off and under, providing a slip resistant, safe and dry surface. The soft surface makes it ideal for barefoot traffic. Also used behind bars and boat decks, Lagune is extremely versatile. These modular tiles can be assembled in a variety of designs and shapes which allows you to economically create a surface of any length, width or shape. Ideal way of covering your large or irregular areas. 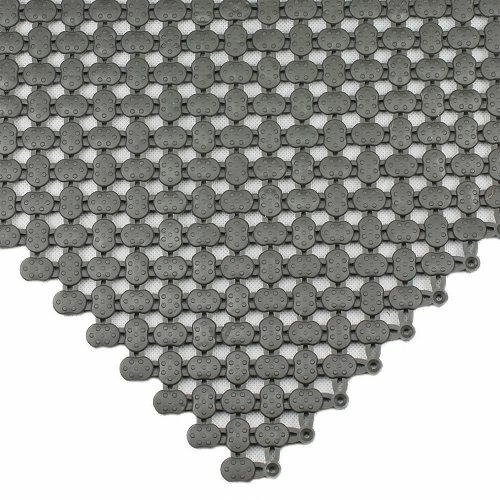 Lagune tiles have a built in connecting system that allows them to be easily interlocked. The 200mm x 200mm tiles come in cartons of 25 making 1 square metre and can be easily rolled up and stored without needing to undo the tiles. 25 Tiles per package = 1 square metre. Uses : Swimming Pool surrounds, shower areas, spas, saunas and changing rooms. Compound : Antibacterially treated UV-resistant soft vinyl with a anti-microbial additive for protection against the growth of mould, mildew, fungi and odour causing germs.